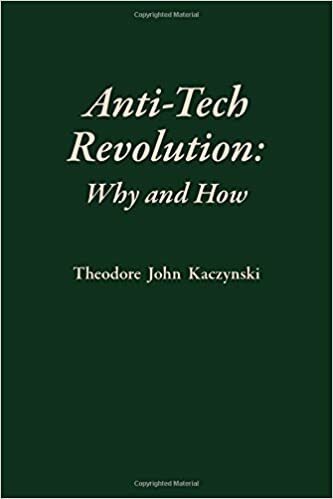 A review of Anti-Tech Revolution: Why and How, by Theodore John Kaczynski. Fitch and Madison Publishers, 2016. Anti-Tech Revolution: Why and How is a work by Theodore John”Ted” Kaczynski, otherwise known as the “Unabomber” terrorist, a former mathematics professor who sought to fight what he regarded as the excessive encroachment of technology by blowing up those who invent and market it. Kaczynski has been imprisoned since his 1996 arrest, and this book was completed during the course of his incarceration while serving multiple life sentences. 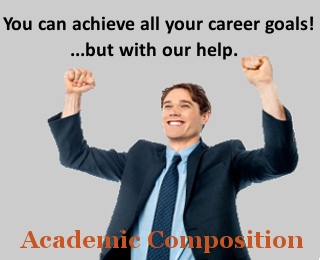 As the title suggests, this work seeks to provide an answer to two primary questions. Why must the “technological system,” as Kaczynski refers to it, be abolished? And how might such abolition be achieved? Kaczynski devotes a considerable portion of the book to revolutionary strategy. I found this to be the most compelling part of the book, as I am likewise interested in revolutionary theory, even if I cannot abide Kaczynski’s ideological framework. Far from his public image as a madman, Kaczynski is actually a quite logical and insightful thinker. 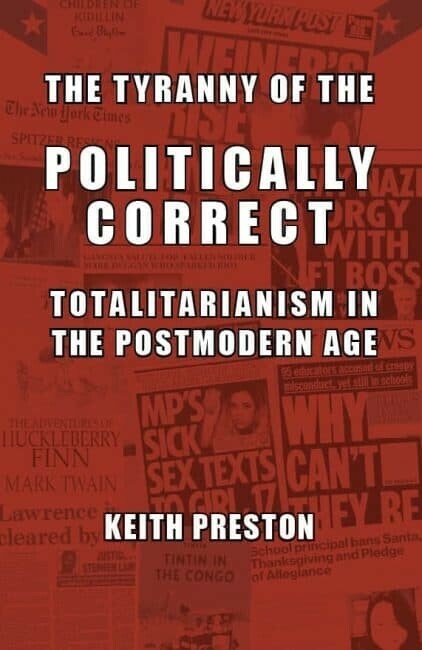 There is no evidence from the contents of this book that Kaczynski suffers from any kind of identifiable mental illness such as schizophrenia. His writing is very clear and lucid. His arguments are well-substantiated from legitimate sources, and appropriately documented. Indeed, this book is a rather impressive work considering it was written within the confines of a maximum security US federal prison with limited personal access to research materials. Kaczynski acknowledges the assistance he was provided by others in completing this work, presumably including researchers and typists. The opening section of the book deals extensively with the inability of political leaders to control the development of societies. Indeed, his critique of central planning schemes of all kinds greatly mirrors that of classical liberal thinkers such as Ludwig von Mises and Friedrich von Hayek. Adherents of Austrian economic theory would no doubt appreciate this aspect of Kaczynski’s work. On page 13, he even includes a paragraph discussing the difficulties associated with price controls! He provides a lengthy set of examples of how one after another utopian scheme imposed by rulers has failed, ranging from the social reforms attempted by Solon in the 6th century B.C. to the “Great Society” efforts in the United States in the 1960s. On this latter point, he sounds not unlike Thomas Sowell. Kaczynski also discusses the limitations faced by those holding positions of power, describing how even the most absolute of dictators are immensely dependent upon others in various ways, and are consequently unable to control much of what goes on underneath them. He cites the observation of Julius Caesar, “The higher our station, the less is our freedom of action” (p. 20). Those who are interested in the study of power and its exercise will find Kaczynski’s writing on these matters to be interesting. Noami Klein proposes massive, elaborate, worldwide ‘planning’ that is supposed to bring global warming under control, help with many of our other environmental problems, and at the same time bring us ‘real democracy,’ ‘rein in’ the corporations, alleviate unemployment, reduce wasteful consumption in rich countries, while allowing poor countries to continue their economic growth, foster ‘inter-dependence rather than hyper-individualism, reciprocity rather than dominance and cooperation rather than hierarchy,’ ‘elegantly weav[e] all these struggles into a coherent narrative about how to protect life on earth,’ and overall promote a ‘progressive’ agenda so as to create a ‘healthy, just world.’ One is tempted to ask whether the schemes concocted by people like…Klein are means as an elaborate joke of some sort; but, no, the intentions of these authors are quite serious. How can they possibly believe that schemes like theirs will ever be carried out in the real world? Are they totally devoid of any practical sense of human affairs? Maybe. The essence of Kaczynski’s critique of the “technological system” is simply that technology is a monster that is continually spiraling out of control, and that left unchecked will eventually destroy the biosphere to the point that advanced life on Earth becomes impossible. He predicts that the atmosphere of the Earth will eventually become like that of Venus or, at best, the Earth will suffer mass extinctions of species of the kinds that occurred during the Cretaceous period when the dinosaurs disappeared. Kaczynski is dismissive of all reformist environmental schemes, and suggests that solar and wind energy are not likely to be any more environmentally sustainable than fossil fuels and nuclear power. While arguing that the technological system will eventually self-destruct, Kaczynski likewise insists that revolutionary action is necessary for the purpose of shutting down this system before it takes the planet with it. I confess to having never felt particularly moved by environmentalism as a cause. No doubt much of this stems from my preference for urban life. I spent about ten years living in rural Virginia in the 1970s and 1980s, and this experience did much to solidify my concurrence with Marx’s disdainful reference to “the idiocy of rural life.” Contrary to Ted’s enthusiasm for primitive mountainous lifestyles, I’ve always preferred the world of concrete, air pollution, and high crime rates. Many of the eco-doomsday scenarios presented by contemporary environmentalists always seemed to me to have a “Jesus is coming!” hysteria and quasi-religious fanaticism associated with them. Much of environmentalist thought has always seemed rather impractical as well. This is a perception that I share with Kaczynski. Interestingly, Kaczynski devotes a portion of the book to lambasting what he calls the “techies,” a term for those whom he accuses of having an unfounded and unjustifiable faith in the potential of technology to achieve great things, even human immortality. He compares this belief in the beneficence of infinite technological progress to that of an apocalyptic or millenarian religion (“Technianity” as he calls it). No doubt there are technophiles who hold views that could reasonably be described in this way. The “transhumanist” movement comes to mind. But could not Kaczynski’s views (i.e. the postulation of an environmental apocalypse that can only be prevented by drastic revolutionary action) be regarded in the same way? In this sense, Kaczynki’s critique often seems to be a case of pointing out motes in the eyes of other, while ignoring the beam in his own. As previously mentioned, Kaczynski understands perfectly well that the utopian schemes of many leading environmentalists are impractical nonsense. Consequently, he offers a much more radical vision, and one that I think is correct if the objectives of the radical ecology movement are to be achieved in the real world. Kaczynski’s vision is one where revolutionaries come to power in different societies and immediately proceed to shut down the technological system. 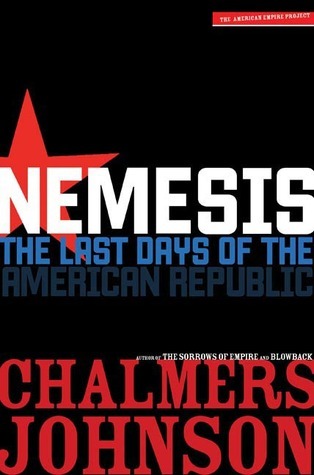 When reading the passages in this book where Kaczynski outlines his plans for such a scenario, I was immediately reminded of the conquest of Cambodia by the Khmer Rouge in 1975, their subsequent emptying of the cities, and reducing the entire population to the status of imprisoned field hand. If nothing else, the Pol Pot regime did indeed achieve tremendous success at “shutting down the technological system.” My guess is that if Kaczynski’s goals were achieved, the end result would be the mass starvation and death from disease of hundreds of millions, if not billions, of people. Organized, systemic genocides wouldn’t even be necessary. Perhaps this is the objective, presumably on the logic which insists that a few billions deaths is a small price to pay for planetary survival. However, it seems to be rather extravagant to pursue such objectives on the basis of a claim that, in Kaczynski’s words, “admittedly remains unproven; it represents the author’s personal opinion” (p. 68). Despite the speculative and far-fetched nature of Kaczynski’s environmentalist extremist views, his discussion of revolutionary theory and strategy contains many interesting and important insights. It is necessary to separate these two aspects of his work. One can reject his arguments and conclusions concerning ecological matters (as I do) while still gaining much from his examination of strategic and tactical questions. Kaczynski outlines four basic postulates concerning revolutionary strategy: 1) the objectives of the revolutionaries must be clear and concise and not overly abstract; 2) the revolutionaries must attract enough sympathizers to make their objective viable; 3) a danger is that revolutionary movements often attract many with only marginal interest in the movement’s actual goals; 4) revolutionary movements become corrupted over time once they have achieved success and power. These postulates are consistent with what can actually be observed about historic revolutionary movements. I knew Judi Bari personally, as she and I belonged to the Industrial Workers of the World (IWW) during this time period, when an overlap between the IWW and Earth First occurred. The “contamination with social justice issues” that Kaczynski describes is absolutely correct. The IWW, which was originally intended to be a mass labor organization oriented towards the staging of general strikes on the anarcho-syndicalist model, was during this time more of a standard all-purposes leftist activism organization. As much energy was devoted by IWW members to the pursuit of pro-abortion activism, environmentalism, AIDS activism, and, of course, denouncing “racism and sexism,” as it was to labor militancy, if not more. I had a similar experience about 20 years later with the libertarian movement, which is ostensibly oriented towards opposition to the state, but which became overrun with individuals more concerned about the promotion of feminism, gay rights, anti-racism, the transgender movement, “polyamory,” and other leftist causes. Kaczynski supports his arguments by offering the examples of many movements from past times that managed to achieve extraordinary success by focusing on single, concrete objectives, and contrasting these examples with the failures of movements of a more amorphous nature. Given the tendency of movements to become corrupted in a very short order of time, Kaczynski insists that “the objective selected by the movement must be of such a nature that the social changes wrought by the achievement of the objective will be irreversible-meaning that the changes will survive even without any further effort on the part of the movement or anyone else” (p. 108). In order to remain focused on the objective at hand, a revolutionary movement must exclude unsuitable persons from its midst, or at the very least exclude those who are unsuitable from its inner circle. The “anti-tech organization” that Kaczynski envisions would essentially be a Leninist vanguard party, although Kaczynski doesn’t specifically state this as much as provides a model for revolutionary theory, strategy, and action that is essentially Bolshevik in nature. He further states, again echoing Lenin, that “when the moment for decisive action arrives the revolutionaries must recognize it, and then press forward without any hesitation, vacillation, doubts, or scruples to the achievement of their goal” (p. 149). Kaczynski insists that “the revolutionaries should strive to bring about the collapse of the technological system even though the chaos attendant on the collapse would bring about the risks of a nuclear war” (p. 153). At this point, one is tempted to compare the work of Kaczynski with that of William Pierce, author of “The Turner Diaries,” which envisioned an apocalyptic race war spurred on by neo-Nazi revolutionaries, and involving a racial extermination program carried out by means of weapons of mass destruction. Kaczynski is apparently second only to Pentti Linkola as a leading theorist of what might reasonably be considered “eco-fascism.” As interesting and often insightful a thinker as Kaczynski is, one can only hope that he fails to be successful in his objectives. A common misperception is that environmental difficulties are a unique problem of the industrial era, and that people in pre-industrial societies were more capable of living in harmony with nature. But as Jared Diamond has pointed out, ecological collapses were hardly uncommon in preindustrial societies. Inadequate means of waste disposal was a horrendous problem in older societies, and severely impacted human health. For example, in rural El Salvador as recently as the 1970s the leading cause of death was dysentery, a problem caused by the contamination of water sources by human and animal waste. In present day India, nearly a half a billion live without proper sanitation or waste disposal with serious ecological and health problems being the result. Evidence also exists human activity exercised a negative impact on the environment, including the climate, long before the advent of industrial civilization. Coping with environmental difficulties has always been a problem that human beings have had to face. If anything, it could be argued that environmentalism, like various other social reforms that have occurred in relatively recent times like feminism and gay rights, is a product of an affluent technological society. It was only when industrial societies reached a certain level of material and technological development that effort and resources began to be devoted to managing environmental difficulties. There was little concern for the environment during both the pre-industrial era and the early stages of industrialization. It is not a coincidence that environmentalism only became a large, influential movement during the postwar era of the twentieth century when traditional problems of scarcity had largely been overcome in the developed world. It was because of this lack of scarcity that time and resources were available to devote to efforts such as environmental protection, and to consider wider issues of social concern such as the status of women, homosexuals, racial and ethnic minorities, young people, the disabled, the mentally ill, or prisoners. Very little attention was given to such issues prior to the emergence of the post-scarcity era. By the second half of the twentieth century, industrial societies had achieved a high enough level of material development and security for such for issues to become a focal point of concern. Hence, the emergence of a range of “liberation” movements in the period between the 1950s and 1970s subsequently occurred. Of course, there is a counter-narrative advanced by traditionalists, primitivists, agrarians, neo-Luddites, romantic medievalists and others which regard industrialization as a degeneration into the supposed decadence and atomization of modernity. While I respect this view, I regard it as unduly reactionary. This is not to say there are no negative side effects to industrialization, but electricity is still a boon even if some people occasionally die from electric shock when a plugged in radio or cell phone falls into the bathtub. Conditions pertaining to life expectancy, infant mortality, healthcare, disease prevention, poverty, starvation, education, literacy, living standards, political rights, scientific knowledge, and religious and intellectual liberty, have all improved exponentially in the last 200 years since industrial civilization began. Of course, it would still be a problem if, whatever its other benefits, the long range environmental impact of industrial technology were to ultimately render life on earth impossible. The big question in such a scenario would be whether or not a few generations enjoying the benefits of combustible engines, modern medicine, and electronic communication is worth the price of the ultimate extinction of the species, or all species. However, claims of these kinds are less likely to be grounded in demonstrable scientific facts, and more likely to be hysterical, unfounded, and unproven, similar to the Malthusian and eugenic fears of the 19th century. The range of issues that are associated with the climate change controversy are largely ones on which I am an agnostic, due to my lack of training or experience in relevant scientific fields. While it would appear that a substantial majority of credentialed scientists in relevant fields affirm contemporary climate change orthodoxy, the consensus does not appear to be as unanimous as normally claimed. I am most interested in how scientific opinion on such questions might differ on a national and cultural basis. I generally trust the work of scientists outside the West more, because given their cultural and political environments they’re less likely to feel the need to indulge hippy-dippy nonsense due to political, economic, social, or institutional pressures. Quite frequently, it is the heretics who turned out to have been correct. I have come to the conclusion that capitalism is successful primarily because it can impose the majority of the costs associated with its economic activities on outside parties and on the environment. In other words, capitalists make profits because their costs are externalized and born by others. In the US, society and the environment have to pick up the tab produced by capitalist activity. In the past when critics raised the question about external costs, that is, costs that are external to the company although produced by the company’s activities, economists answered that it was not really a problem, because those harmed by the activity could be compensated for the damages that they suffered. This statement was intended to reinforce the claim that capitalism served the general welfare. However, the extremely primitive nature of American property rights meant that rarely would those suffering harm be compensated. The apologists for capitalism saved the system in the abstract, but not in reality. My recent article, “The Destruction of Inlet Beach,” made it clear to me that very little, if any, of the real estate development underway would be profitable if the external costs imposed on existing property holders had to be compensated. I would certainly prefer to see a world where a primitivist or agrarian lifestyle could always remain an option for those who desire such a way of life. I want to see space colonies, biotechnology that can grow new limbs for amputees, and robots to do all the common labor. But I also want to see vast natural preserves of nothing but eco-villages and primitivist or agrarian communities. Technological progress is not necessarily infinite or destined to occur without interruption. There is always a possibility of technological regression, and certainly there have been past experiences of technological regression, e.g. Western Europe after the collapse of Rome. Meanwhile, it is certainly fine for communities to resist industrial or technological encroachments they find undesirable (such as fracking), or for eco-radicals to engage in direct action to preserve wildlife and wilderness (e.g. the examples of Earth First or the Earth Liberation Front). However, the fanaticism that dominates some environmentalist circles is troubling. Kaczynski’s proposed eco-fascism is a particularly extreme position, and not at all representative of environmentalism generally. Far more problematic are the efforts of more mainstream environmentalists to establish an inquisition for the purpose of rooting out heretics. Whenever an idea becomes a focus of reverence so intense that calls for the suppression of dissidents result, it can be taken as sign that perhaps something is wrong with the idea itself and not those who would criticize it. Institutionalized Racism: Yes or No? Great review Keith! I wish you had spent a little more time evaluating Ted’s criticisms of technology, which while in some cases boarder on hysteria are nonetheless inciteful and penetrating. I didn’t focus much on his anti-tech critique because that’s the most well-known aspect of his thinking (obviously), and so I figured anyone with an interest in reading the review would already be familiar with his thinking in that area.